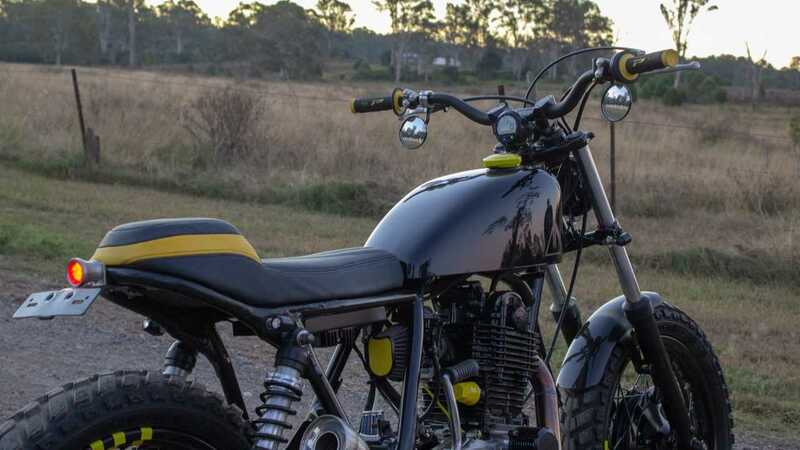 Deus Ex Machina is only one of the many successful custom bike builders of Australia. It’s a sweet opening sequence: a drone sweep over a lush, mystical dawn-scape, mist lifting away from neat rows of green before a mountain horizon, that cuts to a low-angle linger with a mystery motorcyclist surfing through the haze. This is Australia, and that is a custom creation. Two for two. Electric Bubble's Handcrafted-Custom Motorcycle Film is self-described as, “An insider’s look at the Australian Custom Motorcycle Community.” Throughout the 50-minute film, the audience gets to meet many of the most incredible custom bike builders that Australia has to offer and watch them work at their trade. They share what they love about the craft, what challenges they’ve faced and how much the nurturing community of motorcyclists has helped them each along the way. The narrator and guide—Purpose Built Moto’s Tom Gilroy—sets the tone. He is a rural rider who brings barn finds back to life, after having spent most of his earlier life riding or pulling apart any machine he was permitted to destroy. Gilroy, like many others, is entirely self-taught. 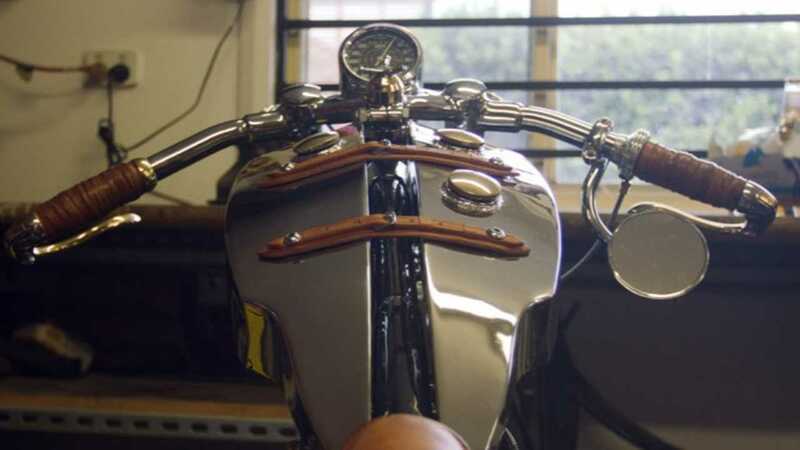 He communicates the singular sensation of riding a bike you’ve put together with your own hands. Thing is, they each have meaningful revelations to share. Young ‘un Brado Miller of Milwerx, has always felt empowered by the supportive community of riders. Matt Bromley of DVMC, describes the therapeutic of getting out of your head and successfully building something, and how much clarity it brings to create. Scott Gittoes of SDG Moto is the veritable grandpa in this video. Son of a former sidecar racer and mechanic, and racer himself, he is quick to reiterate that, despite the difficulties, it is and should always feel like play, since no one wants to work. There’s more, but really; just watch it. Meet these dudes, and Jeremy Tagand of Deus Ex Machina, Ian Don of Black Cat Cycles and Leo Yip, and Steve Bassy of Ellaspede. 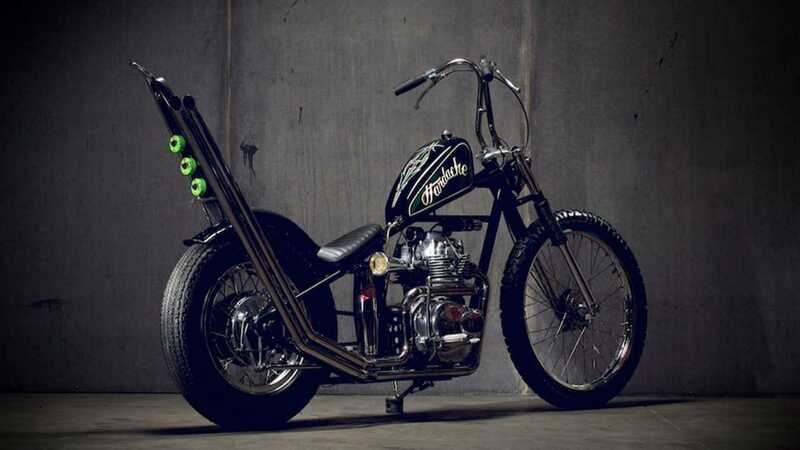 They all have incredibly deep stuff to say, and the bikes they’re building are all fascinating in very different ways. Like any good documentary, this one conveys the thoughts and feelings of the subjects, making the unattainable seem relatable. Some of the music can get a bit precious, and there are no women (no women at all) featured, or even mentioned, but what it does show off is worth the time. These ‘average mates’ are building remarkable machines that we all get to enjoy; an intimate look into a very specific lifestyle that offers up a grand assortment of universal messages. In the end, you’ll be both impressed with them, and proud to be a rider.